Tickets for Garma 2015 are selling fast, as excitement builds for Australia's premier Indigenous cultural gathering. The CEO of the Yothu Yindi Foundation, Denise Bowden, urged people to register early to avoid the disappointment of missing out. Garma will take place from July 31 – 3 August at Gulkula, on the Gove Peninsula in the Northern Territory. “Each year, the Yolngu clans of northeast Arnhem Land extend an open invitation for people to join them on a breath-taking, four-day journey into the heart of the Yolngu world,” Mrs Bowden said. “With a history stretching back more than 50,000 years, the Yolngu have a rich and complex heritage of customs and traditions that have been passed down through the generations. Mrs Bowden said Garma is also renowned as Australia's pre-eminent policy discussion forum for Aboriginal and Torres Strait Islander issues, with the agenda-setting Key Forum attracting the nation's top Indigenous and non-Indigenous leaders, academics, politicians, and philanthropists. “Many of our guests describe Garma as a life-changing experience, a unique opportunity to immerse themselves in one of the world's oldest and most resilient cultures, one with a history stretching back millennia,” she said. 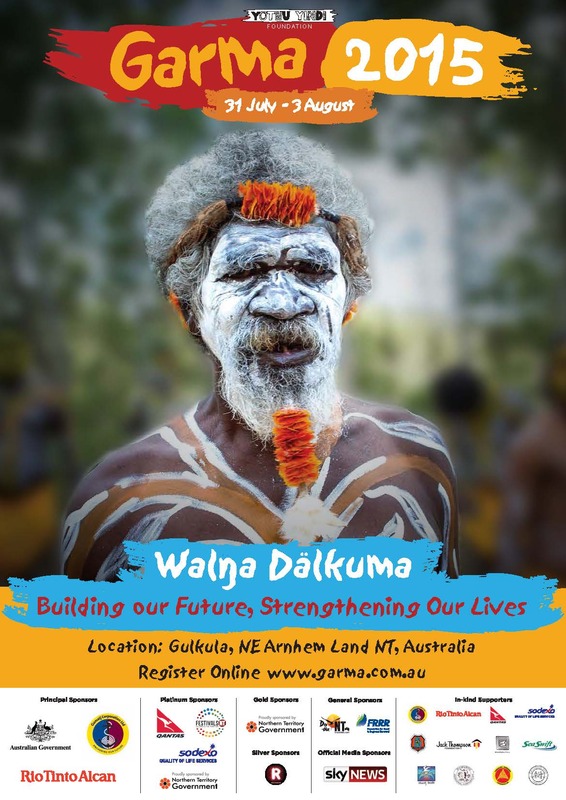 The theme for this year's event – the 17th annual Garma – is Wal\a D^lkuma: Building Our Future, Strengthening Our Lives.